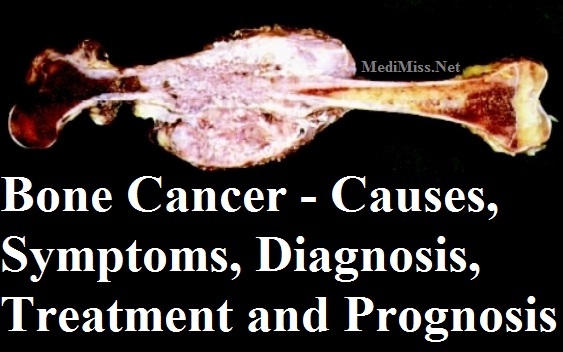 Bone cancer is rare and accounts for less than 1% of all new tumors. Not all bone tumors are fatal in fact benign (non cancerous) abnormalities are more common than malignant ones. Most are secondary and have been spread from another site. Primary bone cancer which starts in the bone is quite rare constituting less than one per cent of all malignant tumors. They are more common in males, especially in children and adolescents. The most common type of primary cancer is osteosarcoma. This type of carcinoma usually affects young adults. It can affect any bone, but the arms, legs and pelvis are more commonly affected. Other less common forms of primary bone cancer include Ewing sarcoma, malignant fibrous histiocytoma and chondrosarcoma. The causes of primary bone tumours are not known; however, adults who have Pagets disease (a bone disease) may have an increased risk. Secondary bone cancer is the most common bone cancer. It is a carcinoma that starts somewhere else in the body and spreads (metastasises) to the bone. The most common cancers that spread to the bone originate in the breast, prostate, lung, kidney and thyroid. A cancerous tumor of the bone marrow presenting in more males than females. Symptoms tend to develop slowly and depend on the type, location, and size of the tumor. The signs and symptoms of bone carcinoma include: painful bones and joints, swelling of bones and joints, problems with movement, susceptibility to fractures. Less common symptoms include: unexplained weight loss, tiredness, fever and sweating. Remember this conditionr is very rare so if you have any of these symptoms it is likely to be caused by another condition. Always see your doctor if you have for a diagnosis. Although bone cancer does not have a clearly defined cause, researchers have identified several factors that increase the likelihood of developing these tumors. A small number of bone cancers are due to heredity. Bone cancer can present itself in any of the bones of the body, but it is diagnosed most often in the long bones of the arms and legs. Diagnosing bone cancer involves a number of tests, including: X-rays and bone scans to show the exact location and size of the cancer (these are always done prior to biopsy), bone biopsy where a small sample of the cancer is removed from the bone and examined in the laboratory for the presence of malignant cells, Magnetic Resonance Imaging (MRI) scan similar to a CT scan but uses magnetism instead of x-rays to build three-dimensional pictures of your body. The treatment and prognosis depends upon multiple factors including the type and extent of the cancer, the patient's age and overall health status. Tumors may be treated with surgery, radiation therapy, chemotherapy, or a combination of these. The tumor, surrounding bone tissue and nearby lymph nodes are surgically removed. In severe cases, the affected limb may need to be amputated, but this is rare. Treatment may also include radiotherapy (x-rays to target and kill the cancer cells) and chemotherapy (anti-cancer drugs). These may be given before surgery, to shrink the cancer and/or afterward to destroy any remaining cancer cells. Treatment depends on the treatment for the original tumor, but usually includes chemotherapy, radiotherapy or hormone therapy. Surgery may be needed to strengthen the affected bone. Overall, the chance of recovery (prognosis) for bone cancers has improved significantly since the development of modern chemotherapy. The chance of recovery will depend on a variety of influences; if the cancer has spread, the type of cancer, the size of the tumour, location, the person's general health and other individual factors. If the tumor is very small and localized, the five-year survival rate is close to 90 percent. If the cancer has begun to spread, however, survival becomes more difficult. The five-year survival rate is only about 60 percent, and the prognosis is poor once the cancer spreads. Bone carcinoma in dogs and cats can be a challenging disorder. Osteosarcoma is by far the most common bone tumour if dogs, usually striking the leg bones of larger breeds. Chemotherapy significantly prolongs the survival of animals with osteosarcoma when used in conjunction with surgery. For dogs Cisplatin alone or in combination with doxorubicin markedly improves survival time to a median of 8-10 months with the percentage of dogs alive after11 months at 50%. Feline Osteosarcoma unlike its canine counterpart it has a much lower rate of metastasis and longer term survival can be expected with complete excision. Median survival for cats with osteosarcoma is approximately 2 years with many cats outreaching that.